After wandering through the Singapore Art Museum, I have come to the conclusion that Southeast Asian art is a revelation, to say the least. 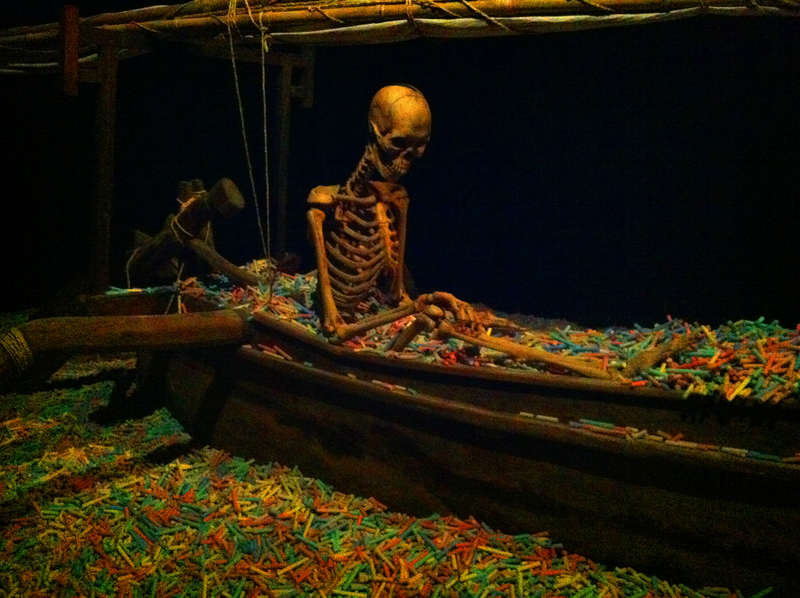 This work by Indonesian artist Jumaldi Alfi depicts a fisherman sailing through a sea of chalk, literally, the skeletal figure, situated in a boat procured from Mudara Island off the coast of Java, is immersed in a pool of multi-colored pieces of chalk. The artist poses the following self-referential existential question: what does it mean to arrive at the end of one’s life only to leave behind a body of work, art supplies, tools, etc. It really doesn’t matter how celebrated the artist, a lifetime of work eventually comes to end, anchored amidst the memories and artifacts of everything thought or made. Does this rather anticlimactic grand finale suggest a paralyzing reality, or do we continue to forge ahead regardless of finality. This juxtaposition of crisis, the macabre, humor, and poetry, seems to run as a current through the work I have seen thus far. 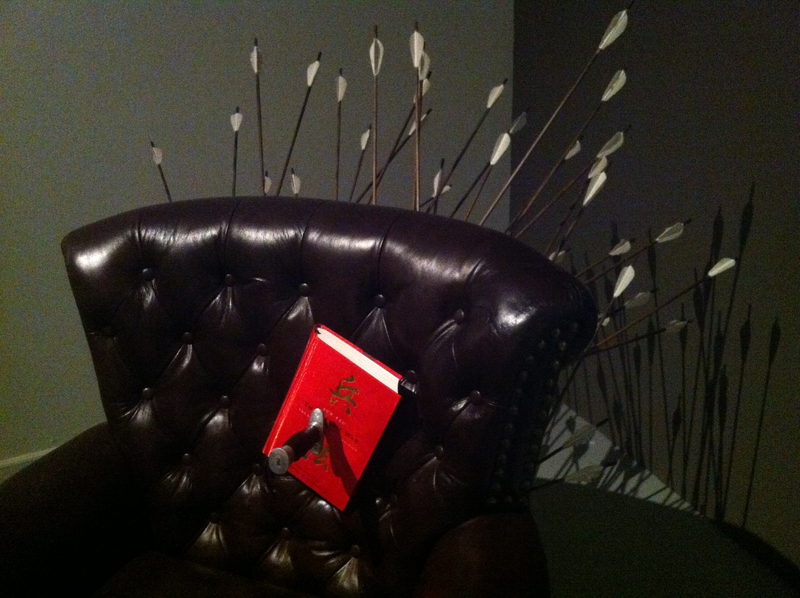 Like the following piece by the Singapore art collective, Vertical Submarine, they have plunged a knife through Sun Tzu’s Art of War as part of their work, Armchair Philosophy. This work transcends whatever political constraints may exist in Singapore by plunging the proverbial knife into the social conditions of contemporary life: elegantly and precisely.